Camping awnings are infinitely useful when you head off on a camping trip. Everyone has their own preferred use for one, whether it’s for extra sleeping space, a place for your pooch to rest their paws, a grand dining hall or just somewhere to throw mucky boots! A waterproof awning groundsheet or footprint is usually an essential for any camper. Not only do they protect the floor of your tent, but also add an extra layer of protection between you and the damp ground. However, for further comfort inside your tent, Kampa Easy Lock Floor Tiles are a brilliant product. They are breathable, less damaging to the insects and grass below, and help limit any discomfort from rocks under your floor – particularly useful if you will be sleeping in your over hard ground. They come in packs of four, which covers a 1m2 area, though their interlocking design means you can easily adjust the shape and size. Once you’ve protected your awning from the damp ground beneath, adding one of our awning carpets or rugs inside helps create a cosy home-from-home feeling. Perfect if you want to use your awning area as a bedroom or relaxing living space, an awning rug can also help keep you warmer. Awning carpets can be found that match the exact model of your awning, so it will fit like a glove. A lot of them include breathability to help protect the grass, along with a non-slip surface and added insulation. If you like a little luxury during your camping trip, an awning carpet is a great interior idea. Are you suddenly finding your caravanning arrangements are a little snug? Maybe you have a new addition to the family? Or perhaps you’re finding your once little campers are now outgrowing their child-sized sleeping bags? Buying a new, bigger awning is one solution to this problem. However, instead of sacrificing living space or privacy, you could add on an awning annexe. Available for many models of awnings, you can simply zip them on to the side of your current awning to create an extra room. Whether you use this as a bedroom, for storage or just for a little extra privacy is up to you! 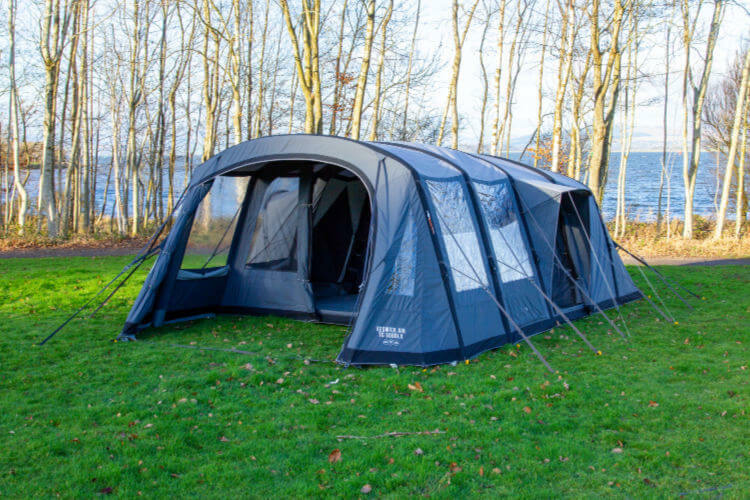 If your awning can’t facilitate an awning in this way, you could also consider the Vango Free-Standing Bedroom Inner. Designed to sit inside your awning, it’s a great way for guest campers to enjoy their own sleeping space – or even for just keeping clutter out of the way when not in use. 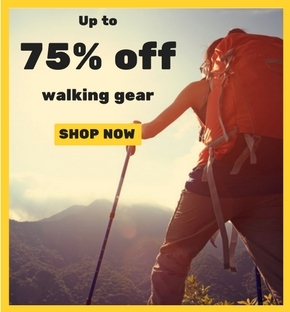 There’s nothing worse than fumbling around in the dark on your camping trip! What’s more, a gloomy awning does little to create an enjoyable atmosphere during evenings in the great outdoors. Instead, make sure you set the tone right with the best camping awning lights. If you have a Vango or Kampa awning, you can make the most of their inbuilt caravan awning lighting fittings. The Vango Sunbeam 450 Starter Set and Vango Sunbeam Flexi Light Kit can be seamlessly attached to the SkyTrack system of your Vango awning. If you don’t have a Vango awning, they come with hooks and loops, so you can still use them. Alternatively, the Kampa Sabre Link 150 Starter Kit is designed specially for Kampa awnings and tents, though can also be attached to other types, too. All of these awning light strip kits are ideal for creating convenient lighting in your awning interior. They switch on and off with a switch or remote control, just like lights in a normal room, as well as giving off a comfortable warm light, so you feel right at home. Finally, once you’ve taken care of creating a cosy floor, making enough space and getting the lighting right, it’s time to set up your awning’s camping furniture. There are plenty of awning furniture ideas you could create for yourself. If you want to set up a relaxed sitting room, make sure you find some plush camping chairs and take plenty of cushions and blankets for cosying up in the evening – why not download some films onto your iPad and hold an outdoor movie night? Sitting on the floor won’t be too uncomfortable either if you set up well with an awning carpet. Another popular idea for furniture inside your caravan awning is to create a dining room. Choose a camping table that the whole family or group can fit around – you can always store it out of the way in your awning annexe when it’s not in use. Take some camping tableware to serve up your feast in style and a cool box for having refreshing drinks on hand, too! There are plenty more camping kitchen furniture options to help you get into the swing of things, as well. Don’t forget to browse our full awnings accessories range!